During a 2014 People's Choice Awards opening video cameo, Sarah Michelle Gellar was spotted wearing a Isabel Marant Phil Embellished Tank. Unfortunately, the top is sold out in stores. Special thanks to Jinx03 who found this awesome spot!! I absolutely adore this dress Sarah Michelle Gellar wore on Aug. 20, 2009. The beautiful maxi dress is by Twelfth Street by Cynthia Vincent. The dress is hard to come by, but can occasionally be seen on Ebay & Poshmark. To find the dress, simply refine your search to the key words "Twelfth Street" in the dress section and refine your search to dresses with "spaghetti strap" sleeves and "not specified" sleeves. I hope everyone is having a very merry Christmas! Who plans to watch the Buffy episode Amends, this Christmas? I know I do, each year. :) One of my favorite episodes. I tear up, every time. It also contains some of my all-time favorite Btvs quotes. What are some of the holiday traditions, that you take part in each year? I'm such a nerd. I've always liked Sarah Michelle Gellar's necklace from her earlier promo photos so I decided to finally have one custom made. It is by the same seller who made my stake replica. I can't wait to see how it turns out! Below is a picture of the necklace and the stake I purchased. I'll be sure to post pictures, once the necklace is made. It will be a while though, since it is being hand crafted. 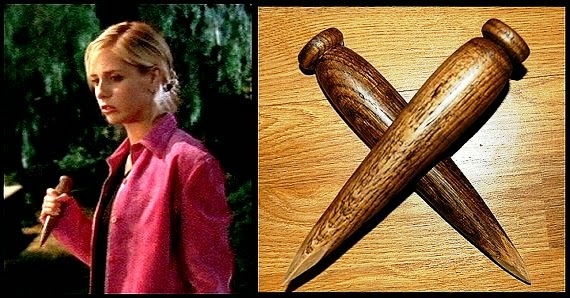 If you are interested in ordering custom Buffy props, the Etsy seller is BuffyProps. Just message him to made a custom order request. If you could have a replica of any item on Buffy the Vampire Slayer, what would you choose? As you may know, it is QUITE difficult to find screen accurate tops worn on the show Buffy the Vampire Slayer. 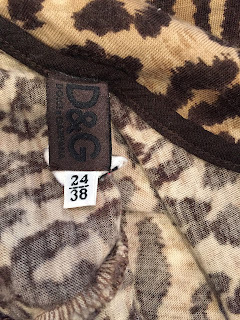 But one of the easier Buffy items to find is the D&G leopard cami she wears in the season 2 episode Ted. The top is cotton and leopard print. There are similar tops, by D&G, but the one Sarah Michelle Gellar wears has a keyhole tie near the neckline. In a 90's photoshoot, Sarah Michelle Gellar can be seen wearing Betsey Johnson. 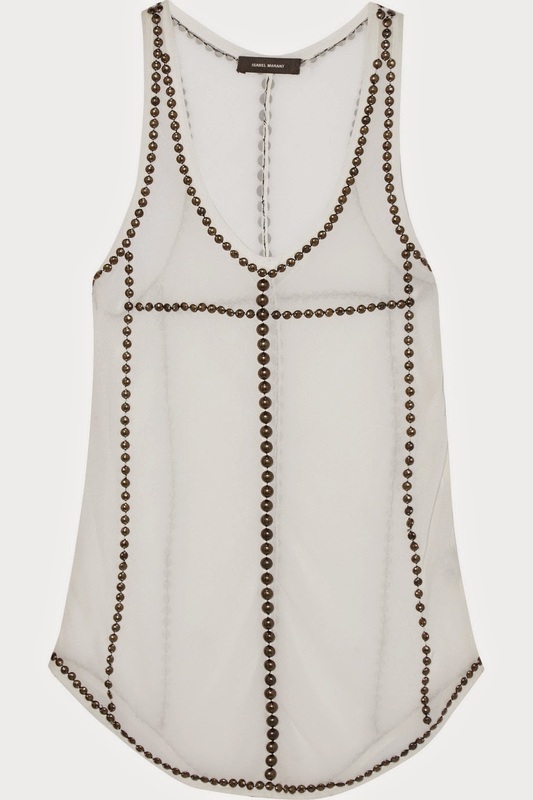 The oufit is either an altered Betsey Johnson slip dress with a slit cut up the skirt and a cami over the top portion. Or SMG is simply wearing a skirt version of the lotus print slip. Either way, it is super cute! The dress is from the Betsey Johnson New York line, has floral print, has adjustable straps and is made of Rayon. Credit: Thank you to the amazing Jinx03 for finding this spot! Here are some photos from the beautiful wedding which took place on Sept. 1, 2002. She most looks beautiful! At the Splendid Holiday Book Drive Kick-off in LA, Sarah Michelle Gellar wore a Splendid Chambray Jumpsuit (Dec. 4, 2014). 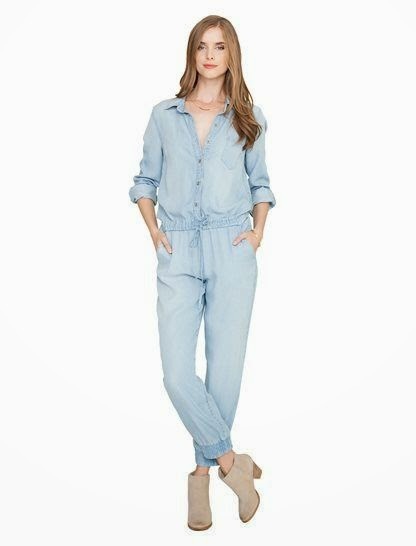 The jumpsuit is available at Splendid.